The colorful plastic bricks known as Legos have entertained children (and adults) around the world for nearly 70 years. 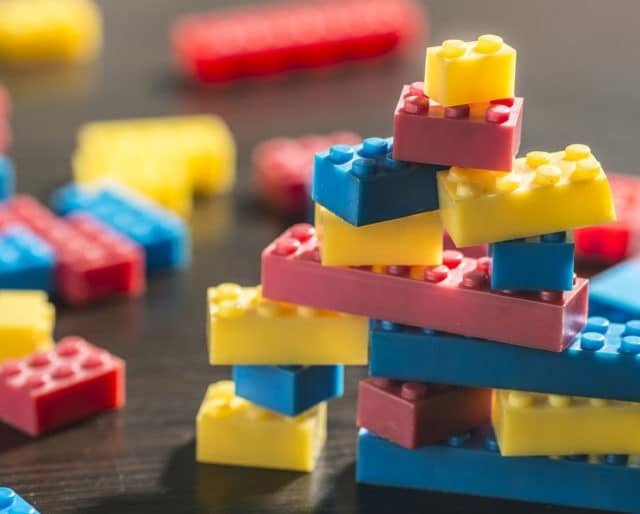 Legos are used to make toy buildings, vehicles, creatures, machines, anything imaginable — and they can be taken apart and put back together as often as you’d like. That means endless creative play. National Lego Day, on January 28, celebrates these incredibly ingenious and enriching toys. Brand Finance, a business consultancy group, announced Lego had surpassed Google, Nike, Ferrari, and Visa to claim the top spot. The Lego Group began manufacturing the now-iconic bricks using an injection mold machine it had recently purchased. Ole Kirk Christiansen, a carpenter from Billund, Denmark, founded the Lego company to manufacture wooden toys. Dust off your old Lego set — or use your kids' — and tinker around for a while. It's good for relaxation and mental stimulation. Lego even sponsors corporate retreats for adults. They're located in Carlsbad, California, and Winter Haven, Florida. There's also a Legoland Discovery Center in Tempe, Arizona. If you're looking for more of a day trip, you can visit one of the 132 Lego retail stores across America. The Lego Movie (2014) scored 96 percent "fresh" on Rotten Tomatoes, with many praising the movie's irreverent tone and colorful action. The sequel is set for 2019. Or head over to YouTube to watch a Lego creator build breathtaking structures. Two eight-pipped Lego bricks can be combined 24 different ways. The number goes up exponentially with the addition of other bricks; only six of the same bricks can be combined in over 900 million unique ways. Lego makes 400 million tires a year for its various vehicles, far outstripping any real-life tire maker. The UK's James May built a house out of 3.3 million bricks. It contained a working toilet, shower, and bed. That iconic hole in the head of a Lego minifigure is not there, as many of us suspected as kids, so you can attach a head to a brick. It's there so a child can continue to breathe in case he or she accidentally swallows it. The injection molds used in creating Legos have tolerances of less than two micrometers — meaning that today's Legos still fit perfectly with those from 60 years ago. A Lego set isn't one toy — it's hundreds! Legos have some of the best "mileage" out of any toy on the market. It'll be years before your child (or you) can exhaust all the possibilities of even a small Lego set. The Lego Group has made Lego bricks since 1949. The company rebounded from a major sales slump in the early 2000s, becoming the world's most valuable toy company. It's also the world's most powerful brand. All this, while remaining privately held and run by the same family that founded it.